For fourteen years, Samir Nasy Hajan Mukbel (ISN-043) was held at Guantánamo Bay, Cuba, indefinitely and without charge or trial. Samir was on the first plane to bring prisoners to Guantánamo Bay, GTMO, on January 11, 2002. He was transferred to Oman on January 13, 2016. Samir was born in Taiz, Yemen in 1977, to a poor working family. He is 33 years old and the eldest of twelve brothers and sisters. At a young age his family relied upon him to provide for them financially since Samir’s father could no longer work at his factory job due to illness. Samir worked in a plastics factory in Taiz making only $50 dollars a month. At that time, in mid- 2000, a friend, Marwan, convinced him to go to Afghanistan with the lure of more jobs that were better paying. Once in Afghanistan he found much to the contrary. In a hearing at Guantánamo Samir stated “I thought Afghanistan was a rich country, but when I got there I found out different…it was all destroyed with poverty and destruction. I found that there was no basis for getting a job there.” At this time Samir believed he had been tricked by his friend into going to Afghanistan but he had no money to get home. He was forced to stay with his friend and go to the mosque to get something to eat. As time went on and things got worse Marwan suggested they fight for the Taliban against the Northern Alliance with the promise of money, a wife, and a house. Samir refused this option and soon after, the terrorist events on 9/11 would change the lives of countless people around the world. Samir’s life would not be spared. He would find himself on a tragic course that continues to this day. October 2001 brought to Afghanistan Operation Enduring Freedom. When Samir began hearing gunfire and seeing bombs drop from U.S. military planes above him he realized he better flee. When he told Marwan he was going to leave Afghanistan, Marwan was nowhere to be found and neither was Samir’s passport. Without a passport Samir made his way to the Pakistan border hoping to get help from the border guards with contacting the Yemeni consular for assistance. Like many before and after him Samir did not receive the help he desperately sought but rather, accused of being a body guard to Osama Bin Laden and a member of al-Qaida. He was held in custody in Pakistan for two months before being transferred to U.S. custody. 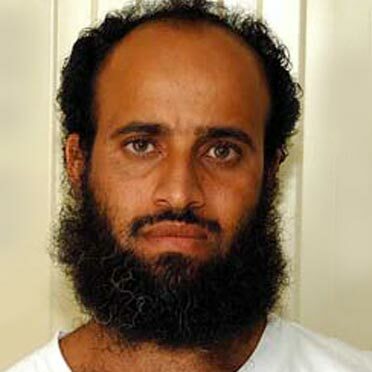 In its case against Samir the Department of Defense, Joint Task Force Guantánamo (JTF-GTMO), claims Samir is a member of al-Qaida who served on Usama Bin Laden’s (UBL) security detail, that he admitted to being a fighter in UBL’s 55th Arab Brigade, and is assessed have participated in hostilities against the U.S. and coalition forces in UBL’s Tora Bora Mountain complex. The DOD claims Samir was captured near Parachinar, PK, on December 15, 2001, by Pakistani authorities with a group of 31 other Arab al-Qaida fighters referred to as the Dirty 30 by U.S. intelligence. He was held for 15 days before being transferred on December 26, 2001 from Peshawar to U.S. custody at the Kandahar Detention Facility. The JTF-GTMO assessment of Samir, a secret U.S. military summary, publicly available via McClatchy news papers provided through Wiki leaks, dates back to March of 2008. It can only be assumed at this time that it has not been updated. Throughout the assessment of Samir, the JTF-GTMO refers to three other detainees that had provided evidence against Samir claiming that he was seen at al-Qaida training camps as well as al-Qaida guest houses in Kandahar going back to 1999 and 2000. In the JTF-GTMO assessment there is an Analyst Note that states “This report places detainee in Afghanistan earlier than admitted and supports the time lines provided by ISN-1457 and ISN-1453. What the report doesn’t say is that U.S. courts exposed Sharqwi Abdu Ali al-Hajj, (ISN-1457) and Sanad Yislam Ali al-Kazimi, (ISN 1453) confessions as being false. Another source of the allegations against Samir is from Mohammed al Qahtgani (ISN 63) who was tortured at Guantánamo and later withdrew his false allegations. As far as being part of the Dirty Thirty, those assessed to be UBL body guards or part of his security detail, 10 have already been repatriated to their own countries. There have been no reports that they have “returned” to militant or terrorist activity. As for Marwan Jawan, a childhood friend of Samir since he was eight, the JTO-GTMO claims that he has an alias of Abu Ali al-Yafii, and was an active al-Qaida recruiter in Yemen and a jihadist who fought in Chechnya and Afghanistan. Marwan Jawan the assessment states is assumed to have been killed in Kandahar during U.S. and Coalition bombing.